"Rhosydd Slate Quarry" by MJT Lewis and JH Denton, ISBN 0 9522979 0 6. I hope that any visitors to this site will be sufficiently interested to study the subject further and I would recommend this book. 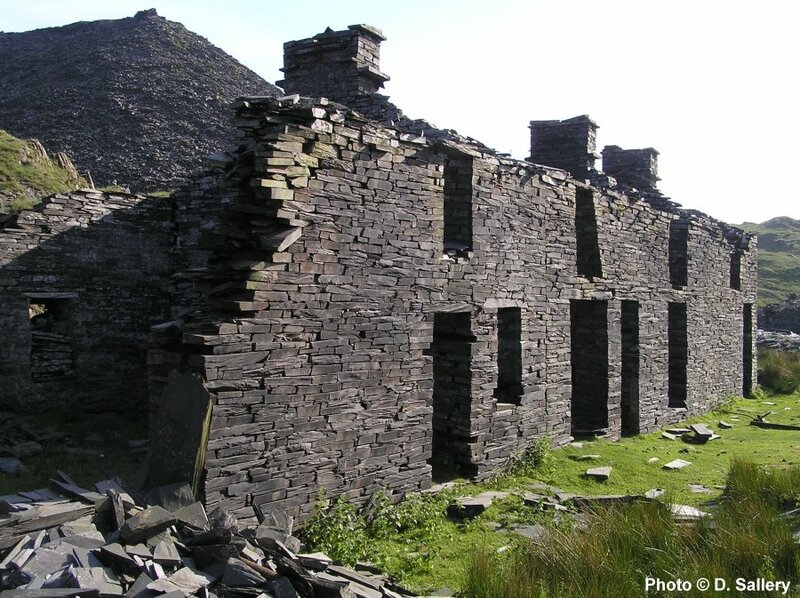 Rhosydd is located 4 miles from Blaenau Ffestiniog and 8 from Porthmadog in North West Wales. The area is mountainous and the main surface workings are at Bwlch Cwmorthin, a high pass separating the valleys of Cwm Croesor and Cwm Orthin. There is no road access and the nearest public road is 2 miles away over rough mountain paths. Visitors should allow plenty of time for a visit and pay due heed to the weather forecast. 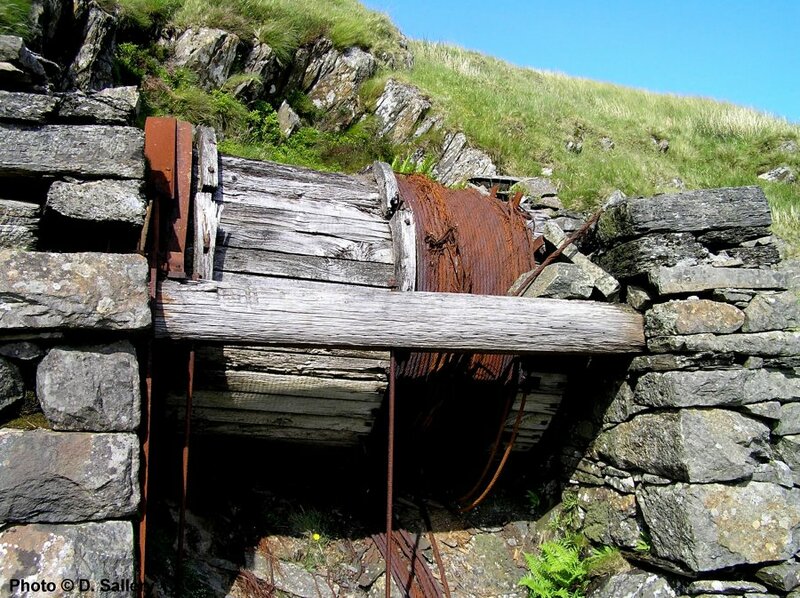 The easiest access is from the village of Tan y Grisiau, near Blaenau Ffestiniog, and then up the track to Cwmorthin, passing the quarry of that name, then following the track past Conglog quarry and then steeply up to Rhosydd. Tan y Grisiau is served by regular Arriva Wales bus services and the Ffestiniog Railway. Rhosydd quarry can be a dangerous place and care is needed. Due to recent rockfalls, on no account should the underground workings be entered, they are hazardous and subject to frequent collapses and unseen dangers. The surface remains are littered with sharp fragments of slate and the waste tips can be treacherous underfoot. The weather should always be taken into account for much of the quarry is over 1500 feet above sea level and the weather can rapidly change for the worse. Rhosydd has some of highest rainfall in Wales and sensible clothing and footwear is essential. Always bear in mind that, in the event of accident or injury, help could be a long time coming. Having said that, the quarry is a fascinating place and any visit will prove to be a memorable experience.